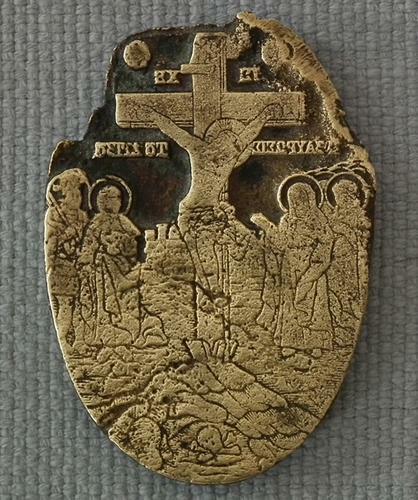 Extremely Rare Authentic antique, 16th -17th century, unusual Russian Orthodox, cast brass, traveling icon of oval form depicting The Crucifixion of Jesus. Jesus on the cross in the center is flanked by mourning St. John the Theologian, St. Martyr Longings the Centurion, The Virgin and St. Martha. In the background the walls of Jerusalem and the mount Golgotha with the skull of Adam on the bottom end. 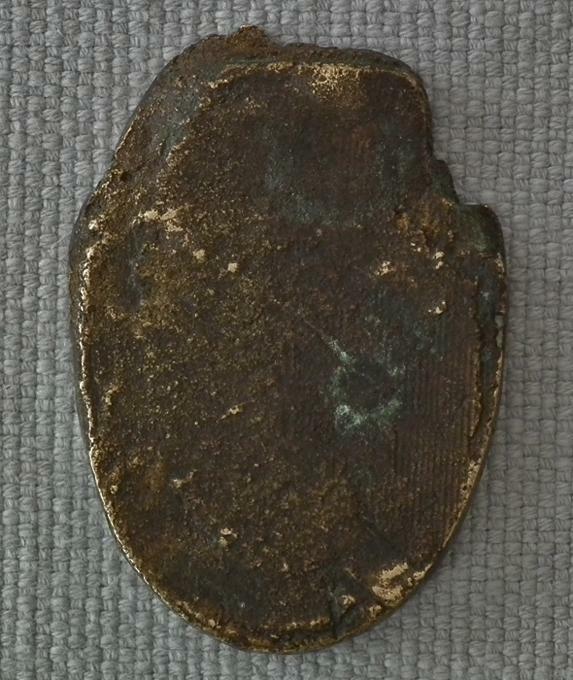 MEASUREMENTS: 7 cm x 5 cm (2 3/4 in x 2 in). 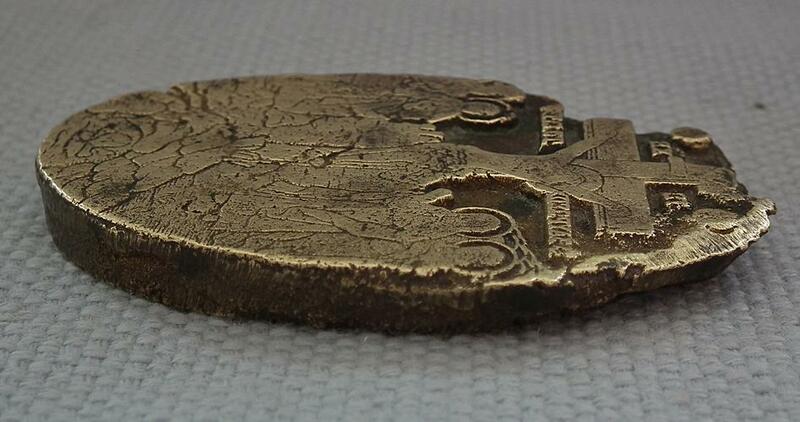 CONDITION: Showing signs of usage and wear and the age patina.